WordPress 2.2 has attracted a large number of loyal WordPress bloggers to update to that version. However, it has not stopped them from developing further. WordPress 2.2.1 was just released a few hours ago. It consists of several bug fixes and additional enhancement to improve the features in version 2.2.x. The full detail of the bug fixes is available here; below is just a summary of the major fixes. 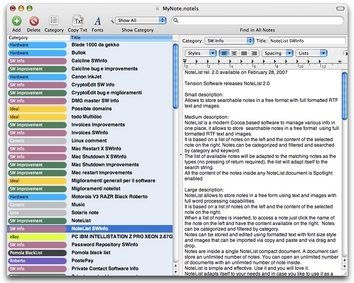 Use NoteList to store notes in a free form, using text and images with full word processing capabilities. Not just simple, it is also effective to use to organise your information. Generally, it has a list of notes on the left and the content of the selected note on the right – just like Microsoft Outlook. * Shut down the system at certain hour. * Shut down the computer according CPU usage. * Works with Windows 9x/Me/NT/2000. The application is available for free, and it consists of above several features. 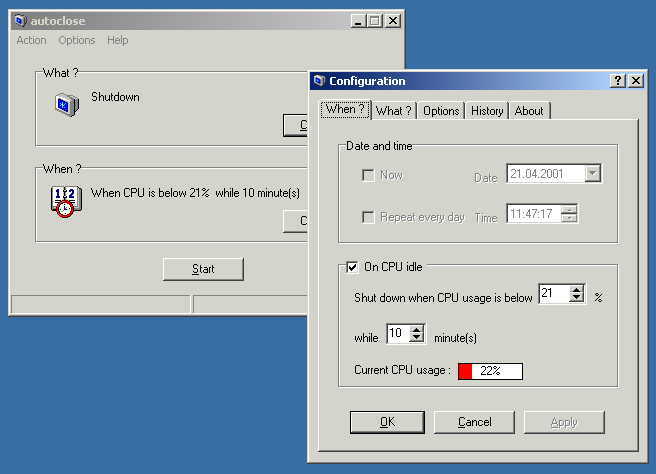 I am not sure how useful it may be to shutdown system when it is running at low CPU Usage, but what I like about another feature is its capability to designate a particular time at which it will be shut down. Personal home trainers can be really costly. Unless you are a celebrity, such as David Beckham, Jennifer Aniston or Michelle Pfeiffer, then chances are you got to work it out by yourself at the Gym. Never mind that, because Qtrainer is a software that simulates a personal home trainer. For all you need, the application is able to plot your progress and provides training schedules to suit your needs. Currently, the application only supports fitness or power training, but it is likely to include other sports in future. In addition, it may be able to plan future training schedules in the long term. As the name suggests, IconEdit is an easy-to-use icon editor. Furthermore, it is also small and lightweight, specially designed to be used as a standalone program, althought the initial idea was designed to be used as an add-in for IconMania. 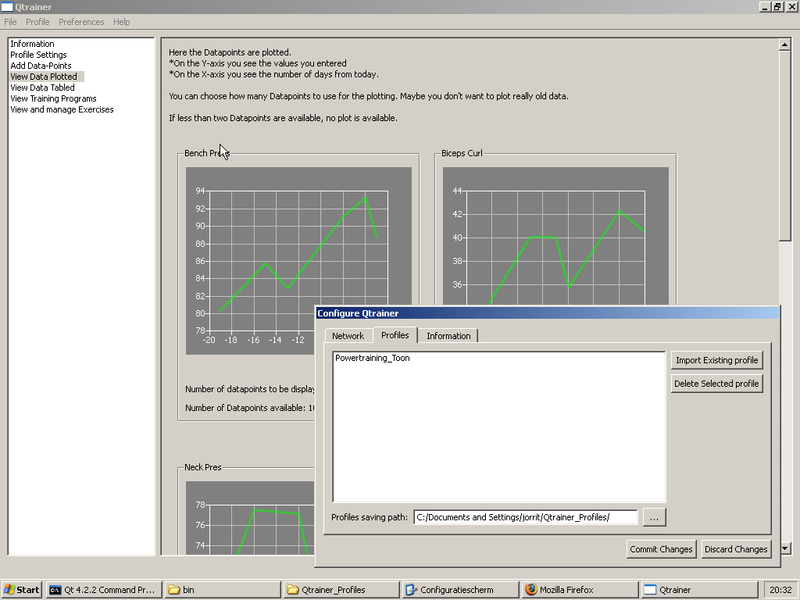 The current version is 0.9, developed in 1999 by Hagai Pipko using Visual Basic 6. Though it may not be the latest release, but a lot of people seems to have found this useful, particularly its file size is less than 300kB. Ever want a simple protection scheme on your files and folders of your Windows system without going too much hassle and complication of using expensive software? FileShield 1.0 is probably what you might be looking for. 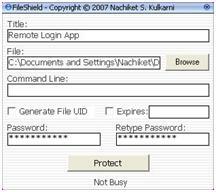 This application is capable of password-protecting your files and also produces an executable file. As such, users can share the application or files without worrying that the original file content is being compromised. To share the file, simply share the executable file. Upon execution, a password will be required in order to extract the original content of the file. Also, note that even if changes are being made to the file, the encrypted file remains the same, i.e. the original version remains unchanged. MacCaching 0.6.2 is a cache manager for Macintosh machines. It enables the system to track and catalog all the geocaches, therefore making geocaching even faster. Furthermore, it can be sync with an iPod for Paperless Geocaching. In essence, the software connects a GPS receiver to the Mac OS X. Cachelists, or rather playlists, can be created for caches in a general area, e.g. caches that have already been found, caches that users are looking for, and more. 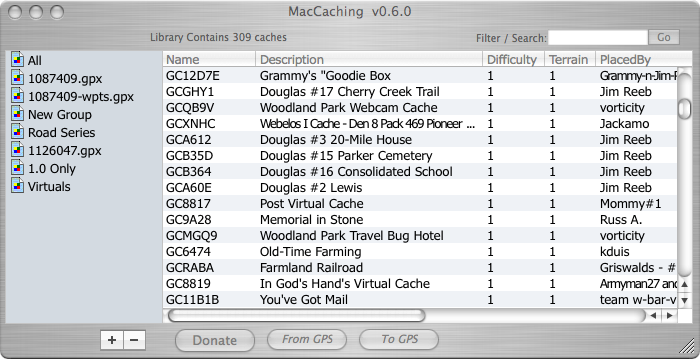 MacCaching is highly compatible with Geocaching.com’s .LOC and .GPX file formats. Note that, this software is available for free but it is currently under heavy development. It is advised that users do not install this in production machines. BBMagnify 1.0 is a nice little screen loupe. 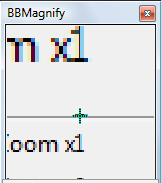 There is a preview window in which BBMagnify has a zoom range between 1x and 16x on the area designated by the mouse cursor on the desktop. This is particularly useful for magnifying areas where reading is difficult; thus can be helpful to aid people with visual disability. 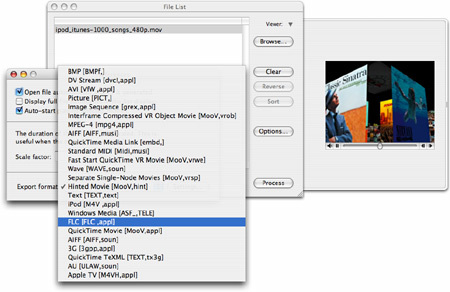 With AddMovie, several movie files can be concatenated into a single piece of movie. This application supprots various input formats, including Quicktime movies. Since the output format is also configurable, it also supports format conversion from MPEG-4 to 3GP, which can be displayed and playback on Bluetooth phone. The software is supported on Mac OS X 10.4 and above. To use the application, simply drag-and-drop the files into the main window, re-order them and click on Generate to create the single movie file.